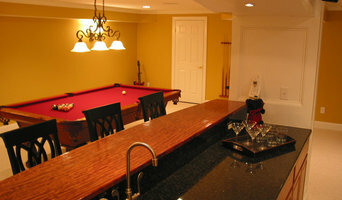 Founded in 1997, a premier Design and Build firm serving the Baltimore area and surrounding counties. Here at iDesignBuild our core specialty is the thoroughly thought out and efficient functional design of warm and inviting spaces for individuals who treasure the nuances and subtleties that transform an existing environment from adequate to extraordinary. We stand firm behind our professional, unwavering commitment to our clients. 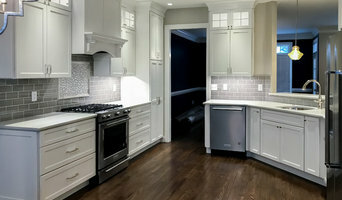 We offer a unique boutique service centered on personalized and uncompromising attention to detail balanced with master craftsmanship which defines a custom home addition, an elegant bathroom and a gourmet kitchen. At iDesignBuild, our design staff is committed to and dedicated to listening and understanding the specific needs of your project from our initial meeting to turn-key completion. Guerilla / Construction utilizes a Design/Build philosophy to encapsulate and amplify the visions of our valued clientele. Tasteful accents of modern charms adorn rustic, contemporary and European-influences design to fulfill your unique desires for inspiration and refinement. Winner Construction Group, Inc. combines meticulous attention to detail with a genuine interest in the preservation and promotion of city living to provide its customers with thoughtful, attractive urban homes. At Winner Construction Group, Inc., we understand older structures and the needs of today’s homeowners. Let us work with you to create your ideal dwelling, from conceptual design through construction. Winner Construction Group, Inc. was founded in 1996 by Daniel Winner, a Landscape Architect with a background in urban planning, architecture and construction. 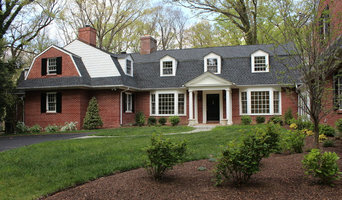 We are a design/build General Contracting and development firm specializing in residential and commercial restorations. Whether we are rehabilitating an abandoned house for resale or renovating an existing home to make it suitable for a family’s changing needs, Winner Construction Group provides simple, logical solutions to create beautiful homes. We strive to preserve the original character of each home we renovate from the design phase through completion and can offer knowledgeable advice in obtaining historic renovation tax credits. Jarrett Vaughan Builders is a full-service, custom building company headquartered in Doylestown, PA. The company's team of dedicated professionals ensures that attention to detail and superior craftsmanship are the rule, not the exception. If you are planning to build a new home or renovate, we encourage you to learn more about the distinctive features and comprehensive services our company offers. It is rare when a builder's name becomes synonymous with exceptional quality and integrity of workmanship. The name Jarrett Vaughan Builders on a custom home or restoration project conveys the same level of quality and workmanship. We are committed to delivering excellent service to our clients, serving as design-builder, project manager or general contractor. We have the experience to see your project through on time and on budget. Our services include: ground-up builds, renovations, kitchens and bathrooms. Valley Forge Construction, has been serving our Tri-county area for over 30 years, of personal referrals, is now offering to bringing your dreams to life. With our design build services, for the quality conscious customer, we offer a wide range of experience. We specialize in custom additions and unique outdoor living areas, designed to meet your needs and style. Allow us to walk you through the steps needed to help you fulfill your next dream project of; Indoor or Outdoor kitchen, Pavilion and patio, home addition, custom barrier free shower and bath remodel, or full home renovation. We look forward to serving you, and seeing your dreams come to life. 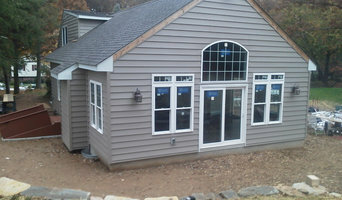 Remodeling homes across south central Pennsylvania and the Mid-Atlantic Region Building and remodeling experience HomeWorks experience covers all your building and home remodeling needs. From small to large jobs, we deliver solutions that fit your schedule, expectations and budget. With each project we continue to build a reputation for dependable and quality work. Our satisfied customers are our best reference. Creative problem solving Our creative team works with you from concept design through project completion. Take a moment and get some ideas for your project in “Our Work” section of our website. Your ideas become reality with HomeWorks. Service and Satisfaction No matter how well you explain your idea, if no one is listening it won’t be understood. HomeWorks listens, provides clear documentation in our quotes and project plans, and follows up promptly on your requests. Dependable and accessible, HomeWorks keeps you informed through all phases of the project. Use HomeWorks for your next remodeling project. Costello Builders is a custom home builder in Lancaster, Pennsylvania that is committed to providing personalized service through the entire custom home building process. We have completed many new home projects and developments from Lititz PA to Harrisburg PA. We have lots available in our new home developments or we will gladly build a quality custom home on your lot. At Costello Builders our we believe that we’re building more than just a house for you: we’re building your family’s new home, inside and out that you will fill with lasting memories. If you’re looking for a custom home builder with a personal touch and attention to detail, you’ve come to the right place. Each Costello Builders client and custom home project are treated with the care they deserve. Design-build firm specializing in historic home restoration, period additions, reproduction homes, cabinetry, millwork and furniture. Boutique design-build firm specializing in projects where sophisticated design meets detail driven and exacting construction. A highly professional firm structured to provide exemplary design-build services to astute clients with unique projects. We employ an in-house staff of master craftsmen who are fully background checked and are the elite of their profession. We are architects, designers, woodworkers, and artists creating furniture, millwork, and residential and commercial spaces in Brewerytown, Philadelphia, USA. We work on projects of many scales, from mixed-use commercial development to custom furniture fabrication. As a team, we are as fixated on the details as we are on the big pictures at each stage of development, collaborating with all those involved to achieve shared goals with timeliness, precision, and efficiency. We know that good design does not grow in a vacuum, and our process considers context on every scale: for whom a project exists, where, and for how long. Our fabrication studio is a hybrid of old world woodworking and leading edge CNC machinery and designer software. 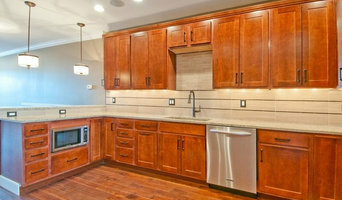 In particular, we are experienced with millwork intensive projects such as kitchens and restaurants. We are constantly refining our methods to create objects and spaces that are functional, long-lasting, user-centric, and gratifying.